Great modern design by the famed Audi design team. 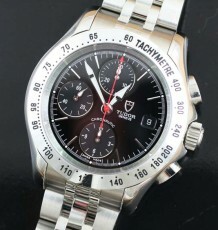 Automatic chronograph using the Valjoux 7750. 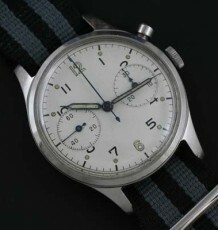 Most people who consider themselves watch collectors probably know who the Sinn watch company is. 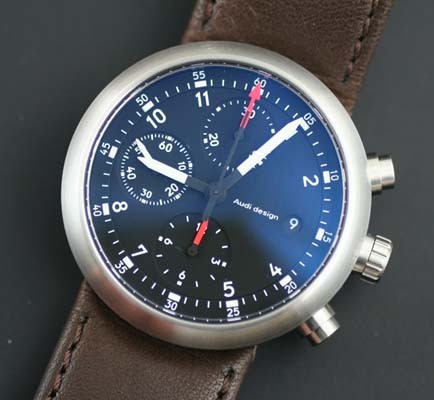 Less know amongst watch folks are the watches made for the Audi Design group by Sinn. These watches are similar in execution to the Porsche design studio. The watches have an elegance that transcends the functionality of the timepiece. The perfect combination of style and purpose. The watch uses the highest grade of materials including the famed Valjoux 7750 automatic chronograph movement with a date window at 3 o’clock. 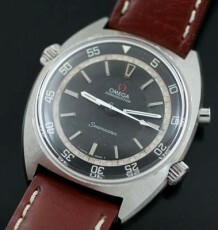 The watch has a stainless steel case with a hidden lug design for the thick leather strap and a sapphire display back. The watch comes with all boxes and papers and is unworn. It was an executive award and remains in its original state. 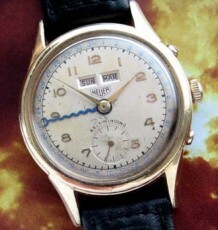 This watch is an outstanding value as it is now discontinued and sought after by collectors. The case measures 40 mm around, the same as a Rolex Submariner.